This summer Haillie & Nate’s wedding will be at Oscar’s Dreamland, a darling venue just on the outskirts of Billings. 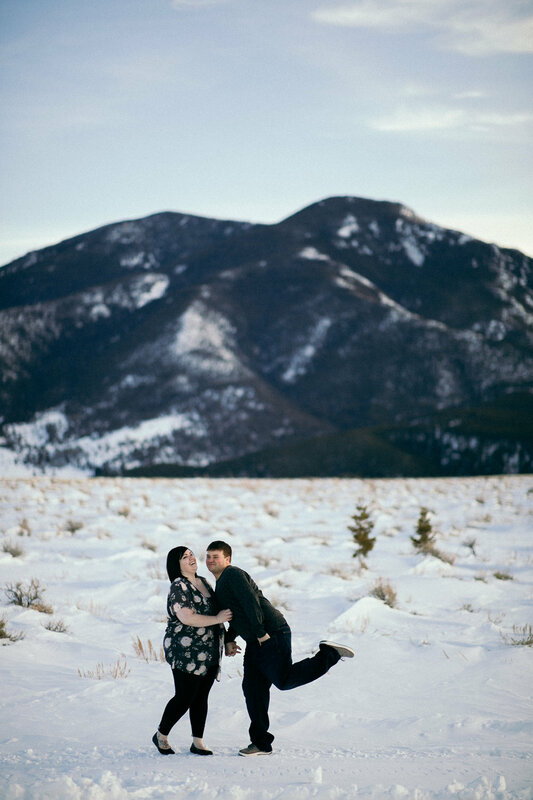 They wanted a different look for their session so we headed up into the mountains around Red Lodge for some winter engagement photos. During the shoot it was quite clear that they care deeply about each other and are totally at ease in each other’s presence. If you are planning a wedding, An engagement session is a fantastic way to celebrate your love & get ready for your big day! Red Lodge Montana Wedding planning. Montana is a beautiful state for weddings. I am so fortunate to live in a state as beautiful as Montana with such a thriving photography industry. We are currently the number one destination wedding location in the United States and with the views we have around here it’s easy to see why! For example on a drive from Billings to Red Lodge you pass Swift River Ranch, Firefly Meadows, and Wildflower. For this session, we kept heading towards the Bear Tooth Highway also passing Rock Creek Resort. Those are just the wedding venues you can see from the road! 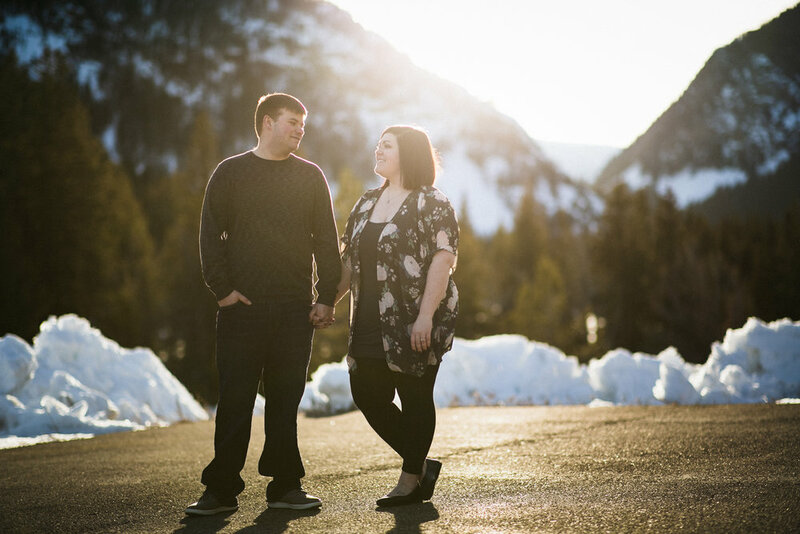 Engagement sessions are a good way to work with your photographer before your big day. This might come as a big shock to you (or maybe it won’t) but a lot of my clients tell me that that being in front of the camera is not their favorite place and they find it a little uncomfortable. I totally understand as feel the same way. Unless you are married to a photographer you probably aren’t used to being in front of a camera everyday. During your engagement session and wedding, we use various techniques to make you feel at ease! If you are planning a wedding I do recommend that you at least consider adding an engagement session to your wedding photography package. An engagement session does a number of things. It allows us time to know what it’s like to work together before your wedding. This also provides an opportunity to practice the systems and communication techniques used on your wedding day to quickly create more awesome photos! The whole process helps build trust and a connection between us providing me insight for the more candid moments during your engagement session or wedding. Zak Jokela is a photographer specializing in wedding photojournalism currently located in Montana, serving the Red Lodge, Billings, Bozeman & Big Sky areas. He also often travels to Cody, Wyoming, and his hometown of Watford City, North Dakota, but is happy to travel elsewhere for your wedding; nationally or abroad. Have you checked out the photo booth? Take a look! Fill out a CONTACT form for more information on prices & services.